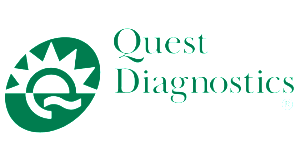 Lab services are provided by Quest Diagnostics for ONE Health Ohio patients. These services are not a part of the routine visit to a doctor’s office and therefore, a patient’s insurance will be billed. For self-pay patients, they will receive a separate invoice for these services. For ONE Health Ohio self-pay patients, Quest Diagnostics honors ONE Health Ohio’s sliding fee scale for all lab testing. All laboratory testing must be ordered by a patient’s provider.